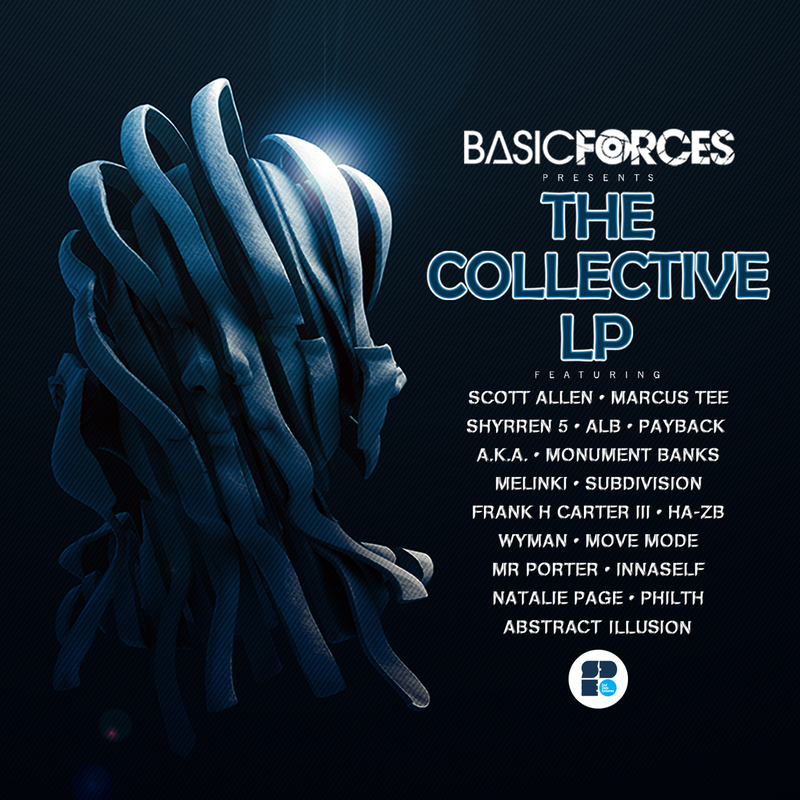 Soul Deep Exclusives and Basic Forces are proud to present The Collective LP. The LP features Basic Forces collaboration songs with some of the top producers in the Liquid/Deep Drum & Bass Community. **Review – Review: Test Press flexing, all-round deep soul man Basic Forces recruits a bench-press rollcall for his debut album. Featuring the likes of Philth, Soul Deep bosser Scott Allen, Marcus Tee, Monument Banks, the iconic vocalist Frank H Carter and many more, it’s an all-star collabo fest where the focus is squared firmly on the groove. From the cosmic depths and velvet pads of “Evermore” to the gospel jazz vocal harmonies of “Mind, Body & Soul” and the elephantine sub-struck roller “Don’t Want To Hurt You”, not only is there some real magic weaved into each collaboration but slick consistency, too. A sublime snapshot of where Basic Forces, Soul Deep and all artists involved in this compendium are at right now.